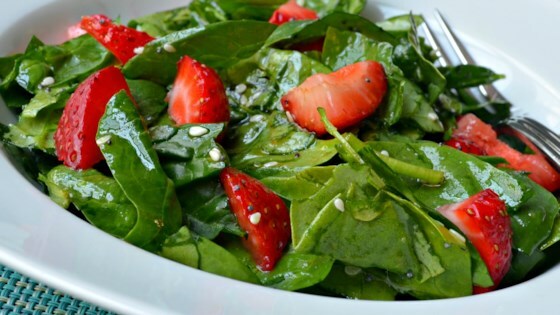 In a large bowl, toss together the spinach and strawberries. In a medium bowl, whisk together the oil, vinegar, sugar, paprika, sesame seeds, and poppy seeds. Pour over the spinach and strawberries, and toss to coat.